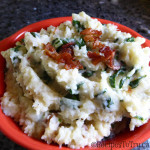 A delicious lighter version (By replacing some of the Potatoes with Cauliflower) of the Irish National Dish, Colcannon. Perfect as an easy side accompaniment for any savoury dish. A very comforting & filling dish. In a 2 qt saucepan, add potatoes & parsnips and 1 tablespoon salt. Cover with water and boil 10 minutes. Add cauliflower and simmer ten more minutes or until potatoes are cooked. Drain completely. Put back in pot stir a bit to remove excess moisture. Mash the mixture. While potatoes are cooking place bacon in a frying pan and cook until crisp. Remove from pan, crumble and set aside. Leave the bacon fat in the frying pan add onions and sauté until soft 3 minutes. Add garlic and cook another 30 seconds Then add chopped kale or spinach and sauté until Kale/Spinach is wilted. Garnish with chives or bacon pieces. 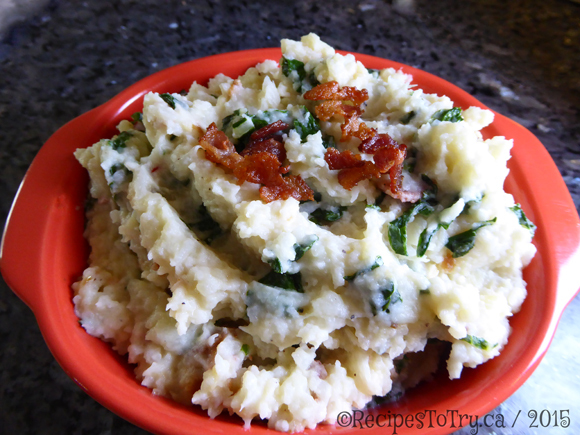 What is Colcannon--"Colcannon. Originally an Irish dish of boiled potatoes and cabbage or kale mashed together and flavoured with onion, shallots, or leeks and cream or butter. The word 'colcannon' is from the Gaelic cal ceannann which means white-headed cabbage. However, the cannon' part of the name might be a derivative of the old Irish , translated variously as garlic, onion, or leek. The dish was introduced into England in the 18th century, where it became a favorite of the upper classes. In Ireland, colcannon was associated traditionally with Hallowe'en (31 October) festivities when it was used for marriage divination. Charms hidden in bowls of colcannon were portents of a marriage proposal should unmarried girls be lucky enough to find them while others filled their socks with spoonful’s of colcannon and hung them from the handle of the front door in the belief that the first man through the door would become their future husband. Sweet butternut squash, Kale, & sautéed onion is incorporated into a colorful frittata that makes a great breakfast that is a tasty and low-calorie meal. Beat the egg whites in a large mixing bowl with a large whisk until they form soft peaks. Season with some salt and pepper. Set the eggs aside in the fridge while you cook the vegetables. Combine the cubed butternut squash with ⅓ cup water in a large, non- stick, oven-safe skillet over high heat. If you don’t have a large non-stick skillet, you can use a regular, oven-safe skillet. Just be sure to coat it thoroughly with oil. Bring to a boil, then reduce the heat to a simmer and cook, stirring occasionally, just until all the water has evaporated and the sweet potato is soft on the outside, about 8-10 minutes. As soon as the water is evaporated, add the olive oil and onion, stir together, and season with Squash seasoning, salt and pepper. Cook over medium heat, often stirring, until the onion starts to soften, about a minute. 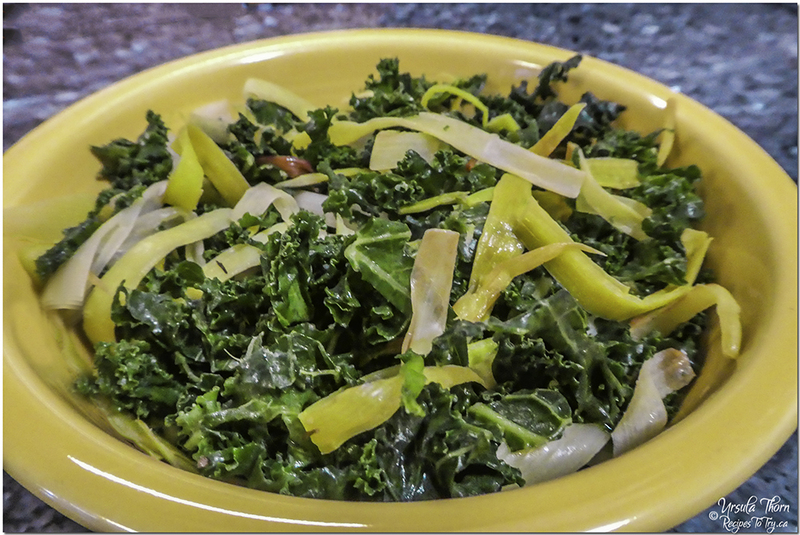 Add the chopped kale and cook, often stirring, until the kale is wilted and dark green, about 2 minutes more. Spread the vegetables evenly over the bottom of the skillet, and then pour the egg mixture on top and spread it in an even layer. Bake in the preheated oven until the frittata is puffed, cooked through, and very lightly browned on top, 5 to 6 minutes. 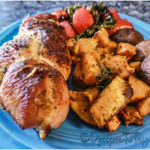 **For the Squash Spice mix 1 tablespoon onion powder,1 tablespoon garlic powder, ½ teaspoon smoked paprika, ¼ teaspoon cayenne pepper, ½ teaspoon kosher salt,2 tsp brown sugar. This mix makes a lot but is wonderful with any roasted squash recipe just save the rest in a spice jar or zip lock baggy. You can use sweet potato or yams for the butternut squash and chopped onion for the shallot. Frittatas are essentially Italian style open-faced omelettes. Unlike a classic French omelette, frittatas don’t get folded over, and getting a little browned on the edges is encouraged. 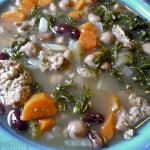 The flavor of the sausage gives all those healthy Veggies just what they need to make it perfect and delicious. Add sausage and cook until browned, about 5 minutes. Remove sausage slice and set aside. Return pot to medium heat, add carrots, onion, and celery and sauté 3 minutes (while scraping the bottom of the pan to get the browned bits), add garlic and sauté 1 minute longer. Stir in chicken broth, water, parsley, rosemary, oregano, habanero pepper and season with salt and pepper to taste. Bring to a boil over medium-high heat, and allow to boil gently 10 minutes. 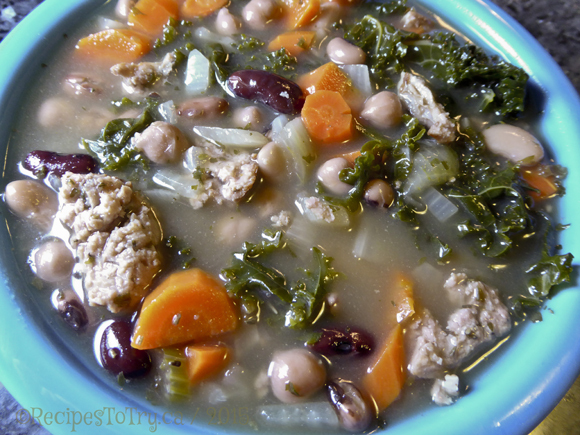 Add kale, beans and sliced cooked sausage and allow to boil 10 minutes longer until kale and veggies are tender. Add the fish sauce. You can add more broth at this point to thin if you wish. In a medium bowl, whisk together the garlic, vinegar, Dijon, honey, paprika, and sea salt. Slowly whisk in the olive oil until emulsified. set aside. Slice the butternut squash into thick wedges or triangles, as evenly as possible. In a small bowl, combine the sea salt, brown sugar, chili powder, chili flakes, paprika, and black pepper. Set aside. In a large bowl, toss butternut squash wedges with 2 teaspoons olive oil and most of the spice mixture. Arrange the wedges with plenty of room on the prepared baking sheets. Slide into oven and roast for 20 minutes, then use tongs to turn each wedge and slide the baking sheet back into the oven to roast for another 15 to 20 minutes more, or until squash is tender and edges are lightly browned. Set aside to cool. In the same bowl used for the squash, toss grapes with ½ teaspoon olive oil and the remaining spice mixture. Spread a fresh layer of parchment on your baking sheet of choice, arrange the grapes, and slide the sheet into the oven. Bake, shaking pan once or twice, for 8 to 10 minutes total, or just until the grapes start to burst. 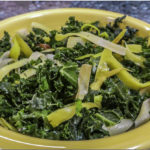 Toss kale leaves with 1 teaspoon oil and massage into the leaves (this will soften the hard edges of the kale). 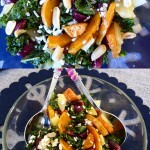 Add the pineapple, butternut squash and roasted grapes with any of the grape juice in the pan. Add the dressing and toss to coat well. Scatter Feta Cheese and peanuts on top of the salad. 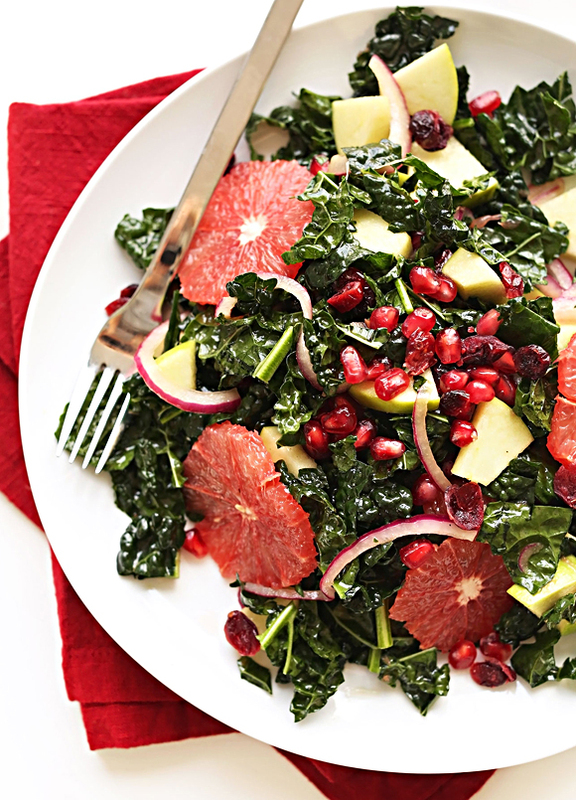 Loads of kale, pomegranate, red onion, grapefruit, cranberries, and green apple make this salad hearty and substantial and loaded with fiber. 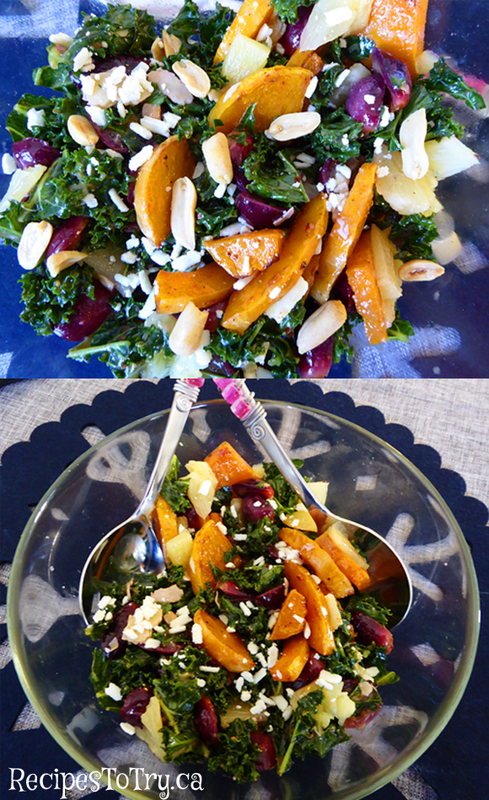 If you love quick, crisp salads with a balance of tart and sweet, this is the one for you. Pickle onions by mixing red wine vinegar, water and sugar in a small bowl and stirring to dissolve. Add sliced onions and let set in the fridge while prepping the rest of the salad. The liquid should cover the onion, so add a bit more vinegar and/or water if needed. 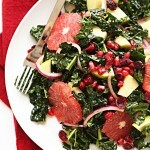 Add kale to a large mixing bowl with 1-2 tsp olive oil and squeeze over reserved grapefruit or orange juice. Use your fingers to massage the kale to break down the bitterness and stiffness. Next add apple, grapefruit or orange segments, pomegranate or cranberries and set aside. Prepare dressing in a small mixing bowl by whisking vinegar, mustard, sweetener, and salt and pepper. Stream in olive oil while mixing, then taste and adjust seasonings as needed. I added a splash of orange juice to brighten up the flavors, but this is optional. Add pickled onions to the salad, as well as the dressing (or reserve it for serving), toss and serve. Leftovers keep up to a couple days in the fridge, though best when fresh. Rinse rice in cold water and drain. Place in a saucepan with coconut milk, water, and salt. Bring to a boil and stir. Reduce to the lowest heat, cover, and cook for 15 minutes. Remove from heat and let stand 10 minutes, or until ready to serve (it will stay warm for up to an hour). While the rice is cooking, heat oven to 400° F. In a lidded jar, combine the melted coconut oil, sesame oil, coconut aminos, and Sriracha. Seal the jar and shake vigorously until emulsified. 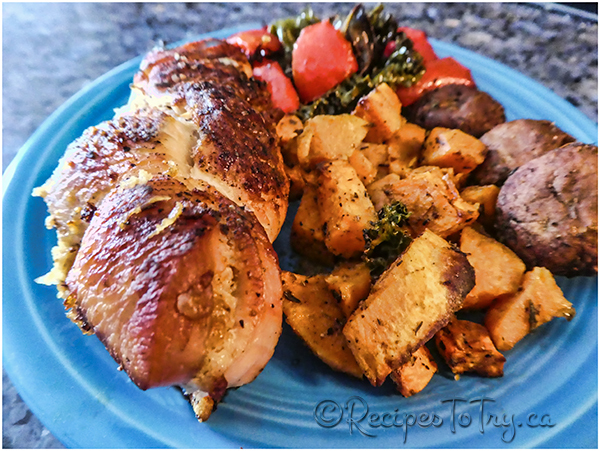 Place the sweet potatoes on a baking sheet. Drizzle with a tablespoon of melted coconut oil and sprinkle with paprika. Toss to coat. Bake for 30 minutes or until tender. 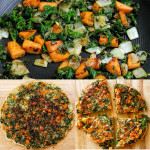 Place kale and coconut flakes on a baking sheet. Drizzle with about ⅔ of the dressing. Toss until well coated. Drizzle salmon with 1 to 2 tablespoons of the remaining dressing. 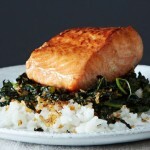 Bake the salmon and coconut kale mixture during the last 15 minutes of the sweet potato's baking time, or until cooked through, being careful not to let the kale burn. 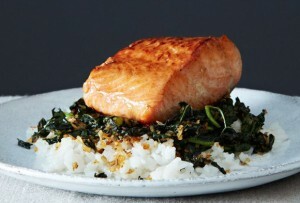 Remove sweet potatoes, salmon, and kale from oven. Serve over fluffed rice with an extra drizzle of dressing. Devour! Coconut Aminos: is frequently used in place of soy sauce in Paleo cooking. Coconut Aminos are made from the coconut sap and natural sea salt. They contain 17 amino acids and a small amount of B vitamins. You can use Coconut Aminos in place of soy sauce in your favorite dressings, sauces, or marinades. Lacinato Kale: Also known as Dinosaur Kale, Black Kale or Tuscan Kale. It has dark greenish-blue leaves with a bumpy texture that makes it easily identifiable compared to other smoother Kale varieties. The leaves of Lacinato Kale are easy to strip from the thick, white stalks and their cabbage-like earthy flavor is great in soups or even raw in salads.